Don't Buy From Dishonest or Incompetent Floorcovering Retailers! Carpet and Flooring Scams are hard to avoid! That's why I've put together my own special hand-picked list of honest & Reputable Carpet and Flooring Dealers to help homeowners choose wisely and have a Safe & Satisfying Buying Experience. Take Your Time! 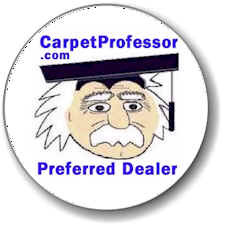 Read all my Free Carpet and Flooring Information to learn how to choose new flooring wisely. Please visit one of my recommended flooring dealers to get your absolute Best flooring deal!